In this week’s class students will be back in the bakery where they will make Carrot Cake Oatmeal Cookies. Students will learn about hybrid recipes like this one that are becoming more and more popular. 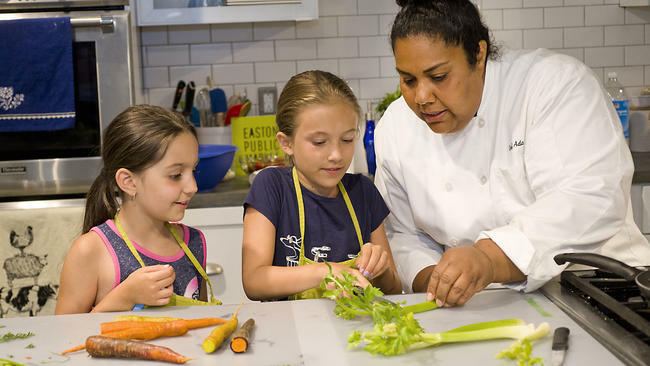 The students will learn how to cut, cook, and assemble all parts of the recipe, as well as sample the finished cookies and take the recipe home for future reference. Parents check in your child at the EPM Kitchen and then feel free to shop the market while class is in session. When registering your child, please put her/his name as the participant (this is the 3rd screen of the registration process). Thank you! Feelings are the emotional currency that can endear or repel us from something, including a company. In this workshop, we’ll discuss how storytelling influences how customers, clients and even employees can feel connected or disconnected from a business. Positive or negative perceptions are contagious whether on social media or around the water cooler. 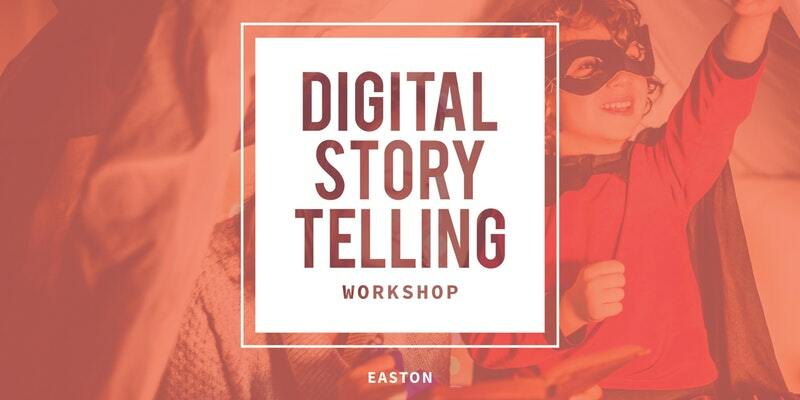 Digital Storytelling Workshops hosted by Digital Feast, a Lehigh Valley based creative marketing agency, are held the first Tuesday of every month through May at the Easton Public Market. They are meant to inform and inspire those interested in creating meaningful narratives that artfully convey the mission of their business or organization through storytelling. These are intended for marketing managers and directors, social media managers, content creators, small business owners, entrepreneurs and executives. This week’s class will explore dietary options and the students will make a Vegan S’Mores Cookie and will learn how to cut, cook, and assemble all parts of the recipe, as well as sample the finished cookies and take the recipe home for future reference. The 3rd Battle of the 2018 Lehigh Valley Art Wars will be going down at the Easton Public Market! Admirers are encouraged to purchase a $5 voting ticket, with half of the money being split between artists at the end of the night, and the other half going towards the grand prize of at least $1,000. Join Alicia Rambo Wozniak of Easton Yoga and Sarah Hinsch of Greenmouth Table at the Easton Public Market for a healthy and delicious start to your Sunday! Alicia will guide a one-hour gentle morning flow to wake your body up and Sarah will prepare a nutritious breakfast to enjoy at the end of class.